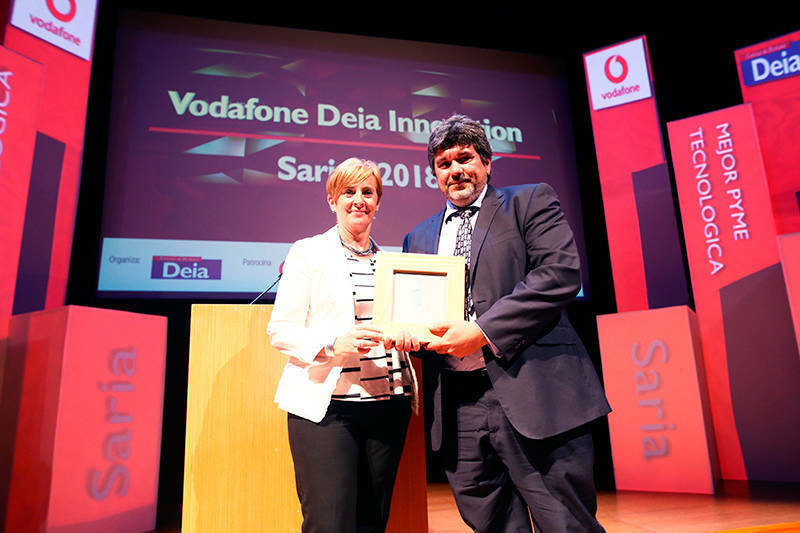 On the 3rd of October the IV Vodafone DEIA Innovation 2018 awards were held in Bilbao. Many companies and institutions that stand out for their determined bet towards innovation as an efficiency and productive success driver, were present. A group of enterprises where Urola stood up among. In this fourth edition, Urola was rewarded with the prize to THE BEST TECHNOLOGICAL SME. From a group of 109 companies, we were selected for our implantation of industry 4.0 technologies in our products and processes, as well as, for the Big Data and Cloud Computing technologies we use, which allow us to construct cyber-physical systems capable of monitoring and visualizing the processes/equipments in any moment and from any device and location. These developments allow us to offer advanced services to our clients and efficiency improvements in our processes. We will continue working to optimize our production process and to offer the best to our clients.